California has distinct wage and hour laws in place to ensure the proper pay of employees. Employers often need clarification on California wage and hour laws. Each industry is different but here is an overview of requirements in the state. California’s minimum wage is set at $9.00 per hour. Unlike some states, California does not allow for tipped employees to be paid less than the state’s minimum wage. 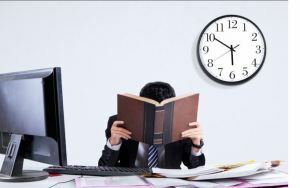 For all time worked in excess of 12 hours in a workday and all time worked in excess of 8 hours on a seventh consecutive day, employees are entitled to twice the regular rate of pay. There are exceptions to these rules in certain circumstances and for certain industries. Employers can be assessed substantial penalties if they do not pay employees correctly. Contact an experienced lawyer for the overtime rules applicable to your business. Depending on the length of a particular shift, employees may be entitled to a meal and/or rest break. If an employee is entitled to a meal break, it must be at least 30 minutes and the employee cannot have any job duties to perform during that period. Not all wage and hour laws apply to each business and industry. For help with employment law, contact Structure Law Group today to learn what specific wage and hour laws apply to your business. Structure Law Group is a San Jose based firm that specializes in employment and business issues including business formations, commercial and employment contracts and litigation.